Jonas Ersland designs ways of depicting current issuesh through photographic interventions and interactive experiences. Through a visual language of empathy and familiarity, he explores the human side of a range of subjects: technology, identity and our impact on a changing society. He studied graphic design at Westerdals Oslo ACT, and Food Non Food at the Design Academy Eindhoven. He lives and works in Berlin. I appreciate my visitors and trust them to put their own touch on my website by leaving a snapshot for the next visitor. 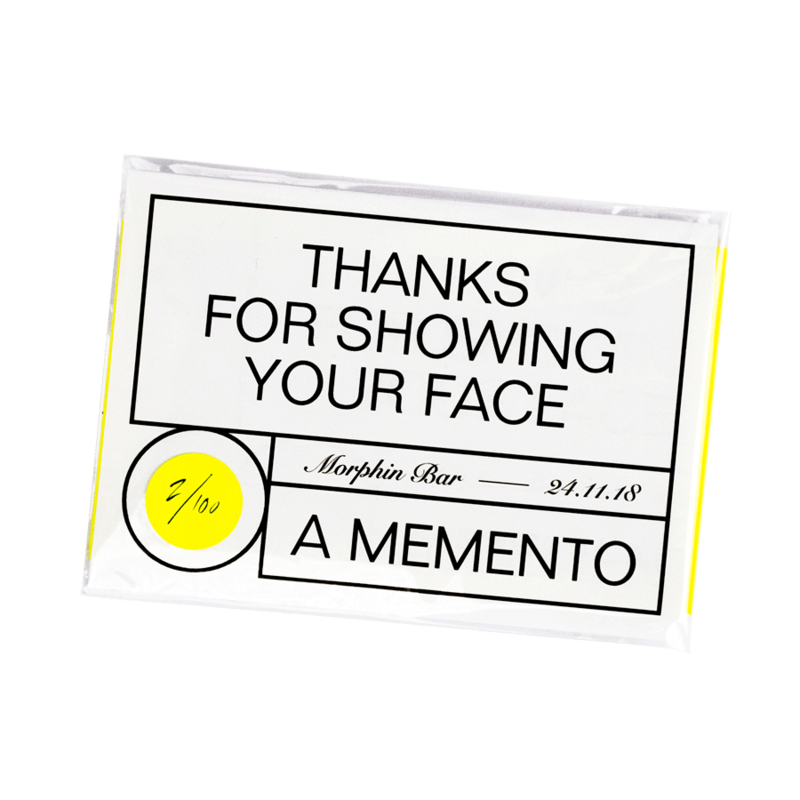 Thanks for Showing Your Face is an installation that took place at Morphin in Berlin, and consisted of a face-detecting camera collecting images of all the visitors’ faces – which was printed in a little booklet during the course of the evening. The booklet was then handed out to all the people present, as a little souvenir of the moment they all shared. Face detection technology has a pretty bad reputation, and understandably so – but to plainly write it off as ‘evil technology' is ignorant at best, and doesn’t solve any of the real issues associated with it. As designers and artists, we need to challenge this notion by proposing a more nuanced and transparent side of the tech that surrounds us. After all, technology only as malicious as the intentions of the people who use ut. How can evil technology be used for a nice cause? The discarded plastic bag is a picture on our complicated relationship with plastic. Plastic is a finite, irreplaceable material that will virtually last for hundreds of years ‐ and it's damaging for the ecosystems it's allowed into. Yet, it's treated as our most discardable material, reflected in the kind of products it's produced from, as well as how we treat it. In Monuments of the Plastic Age I've visited discarded plastic bags in the tall grass and bushes where they eventually end up. With a frame resembling the clamp used in early 19th century photography to hold the person's head still, I'm photographing them in the context where this plastic story becomes real. The frame is a photographic tool, but it's also a way of raising small monuments where these plastic bags keep living on. Visual profile and website for Disko Arts Festival, a contemporary performance festival taking place in the Disko Bay, Greenland. As food delivery services like Deliveroo and Foodora grows, spontaneous meeting points are being formed in cities: places where the deliverers come together to wait for new orders. These urban waiting spots could be considered a physical manifestation of the gig economy. Using a colour tracking camera that detects the worker's uniforms, Public Waiters is a video series of food deliverers waiting in public space, observed through the lens of the algorithm. The video series aims to expose the growing significance of these spaces, while also questioning new forms of automated labour. Ongoing experimentation with digital photography and animation. Design and development of website for Deine Kunst, an ongoing exhibition curated by Michael Müller at the Städtische Gallerie Wolfsburg, Germany. Design and development of website of Norwegian composer and curator Lars Petter Hagen. Photo series from four years at the Design Academy Eindhoven.